Join us at our next meeting on May 21st in 25 days. Stability is the best word to describe Estabrook’s past. 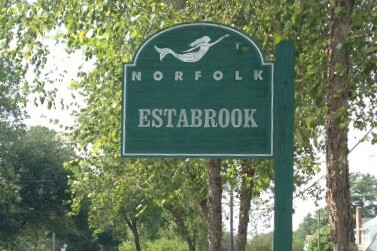 Developed in the 1920s as almost a country settlement in Norfolk county, Estabrook’s only connection with the downtown area revolved around a trolley line that ran along Chesapeake Blvd., between the City of Norfolk and Ocean View. Containing a history of helpful residents who resided along quiet streets where no two houses were the same, the two or three bedroom homes in here were built to last. 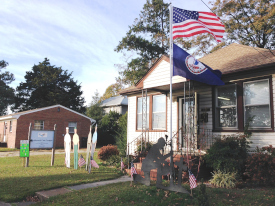 The Estabrook Civic League is one of the oldest civic leagues in the City of Norfolk, Virginia. Started in the 1930's The Estabrook Civic League, Incorporated is a Virginia Domestic Corporation filed on October 1, 1932. 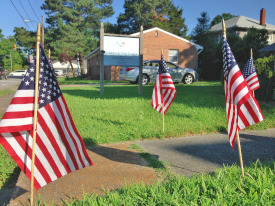 Additionally, The Estabrook Civic League is one of a handful of City of Norfolk Civic Leagues to have their own building. Which is located at 3612 Robin Hood Road, Norfolk, VA. Whether it's a fundraisier, or celebration of a holiday, the Estabrook community is full of activities. We need your help to make the events a success. Please let us know if you would like to be part of the planning process for future activities. 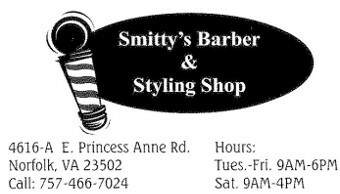 4616-A E. Princess Anne Rd.